The industrious rodents can offer a range of benefits for California water supplies and habitats. But they’re still officially considered a pest. On California’s central coast, a region that usually receives drenching rainfall or fog for most of the year, some forests are now as arid as a desert. Streams that once ran at least at a trickle through summer have vanished in the ongoing drought, and environmentalists and fishermen fear that local salmon will disappear if climate conditions don’t improve. The landscape desperately needs rain. It could also use beavers, according to ecologists who say the near eradication of Castor canadensis from parts of the West in the 19th century has magnified the effects of California’s worst dry spell in history. “Beavers create shock absorption against drought,” says Brock Dolman, a scientist in Sonoma County who wants to repopulate coastal California with the big lumberjacking rodents. Beavers are a hated pest and a nuisance in the eyes of many landowners and developers, and the animals are regularly killed with depredation permits and by fur trappers. However, they are also a keystone species whose participation in the ecosystem creates benefits for almost all other flora and fauna, Dolman says. This is because of the way beavers’ hydro-engineering work affects the movement of water. Meanwhile, the water percolates slowly into the ground, recharging near-surface aquifers and keeping soils hydrated through the dry season. Entire streamside meadows, Dolman says, may remain green all summer if beavers are at work nearby. Downstream of a beaver pond, some of the percolated water may eventually resurface, helping keep small streams flowing and fish alive. Dolman, co-founder of the Occidental Arts & Ecology Center in Sonoma County, says this water banking process could even, in theory, partially offset the worrying shrinkage of mountain snowpack, historically California’s most important water source. Dolman and his colleague Kate Lundquist, who are leading their organization’s “Bring Back the Beaver Campaign,” would like reintroduction of beavers from other regions to begin now as a measure for restoring salmon populations and building general drought resilience into the landscape. In Oregon, something along these lines is happening. Here, a newly proposed Coho recovery plan would make it illegal to kill or harm beavers within the geographical range of the imperiled fish. But in California, there is a problem: Government biologists aren’t entirely sold on the virtues of beavers. 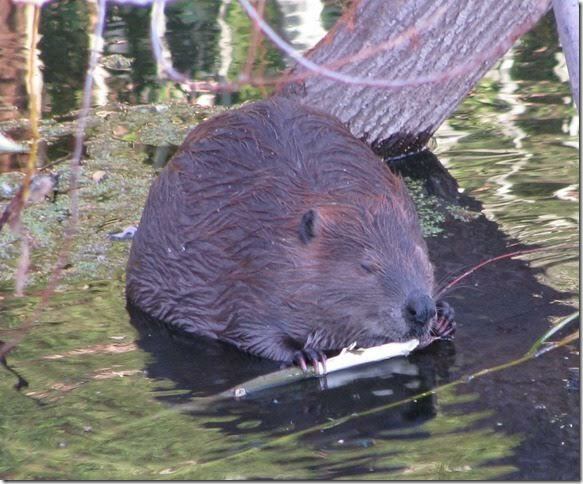 Kevin Shaffer, a fisheries biologist with the California Department of Fish and Wildlife, believes that beavers can have benefits for a watershed that is temporarily deprived of rainfall. Eventually, though, even beavers cannot cancel out the effects of long-term drought or climate change. Shaffer adds that introducing beavers into an environment that has been seriously stressed by drought may benefit nothing — not fish, not plant life and not the beavers themselves. Releasing beavers can also create conflicts with people, especially in heavily populated watersheds like the Russian River, just north of San Francisco. The California Department of Fish and Wildlife classifies beavers as a “nuisance” species. That’s because, Shaffer explains, the animals’ activity can have direct negative impacts on people. Dams can inundate properties, and falling trees could potentially land in roadways. In spite of agency uncertainty, the benefits of beavers on a landscape are considered fact by scientists in California’s North Coast region. Sarah Beesley, a fisheries biologist with the Yurok Tribal Fisheries Program, has been running a habitat restoration effort on the lower Klamath River system, where a small beaver population currently resides. Her goal is to increase the presence of year-round water, especially in slow-moving wetlands, by building stick dams that closely mimic those built by beavers. In the future, her project hopes to reintroduce beavers themselves to streams that the animals don’t frequent. In several stream systems in the region, says Beesley, the only places where salmon — especially endangered Coho — have survived after four years of below-average rainfall are beaver ponds. “Wetland features, whether built by people or by beavers, are definitely what’s getting the salmon here through the drought,” says Beesley. Beavers still live in the Klamath drainage system. They also occur, among other places, in the Central Valley, near the Mexican border and in parts of the Sierra Nevada. However, there is ongoing debate about where beavers historically lived — a debate that could hinder progress in any reintroduction campaign. 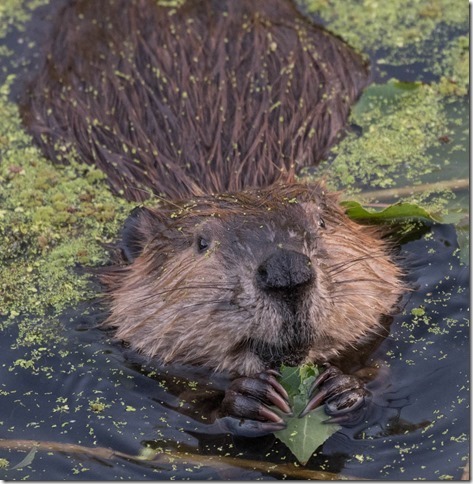 Dolman and Lundquist contributed to a report published in 2013 in the journal California Fish and Game that revealed evidence of beavers having inhabited regions of coastal California where they don’t live today. The evidence included beaver remains and accounts from early explorers. Similar literature has been produced making the case that beavers lived throughout the Sierra Nevada. As a prelude to reintroducing the animals, they hope to establish as fact that beavers once played key ecological roles in many watersheds. Beaver reintroduction has seen success in Washington, where the Methow Conservancy has identified beavers as a valuable tool for restoring damaged watersheds. The organization has participated in relocating more than 300 beavers into the headwaters of the Methow River system, which feeds the Columbia River. Heide Andersen, stewardship director at the conservancy, believes the ongoing decline of salmon on the West Coast began partly as a result of losing beavers. While rain is sorely needed throughout California, the absence of beaver infrastructure could make the landscape less able to rebound should a more generous hydrological period resume. Dolman explains that, without woody debris in the creek gullies to slow water down, the land has less opportunity to soak it up when rain does fall. The result is raging floods in the winter and, once summer comes, a watershed that rapidly goes dry again. Alastair Bland is a freelance writer based in San Francisco. He can be reached at allybland79@gmail.com or via Twitter at @allybland.